I am a big fan of Korean skincare, cosmetics and haircare. A trip to Seoul is never complete without a suitcase back filled with the latest makeup and hair products. I recently discovered Dr Jart+. Founded by a Korean dermatologist in 2005, Dr Jart+ formulates paraben-free and hypoallergenic products with a team of dermatologists. 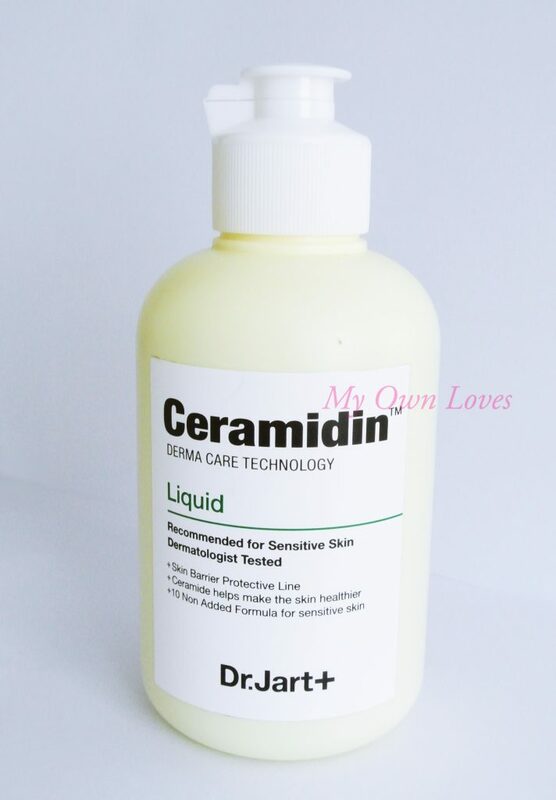 Its new Ceramidin range was specifically recommended to me. It is formulated for sensitive skin. The packaging itself is clean, minimal, old fashioned apothecary-ish, simple. Some people might find it too clinical. I liked it right away. Dr Jart+ is known for its BB cream, so how does this skincare line fare? 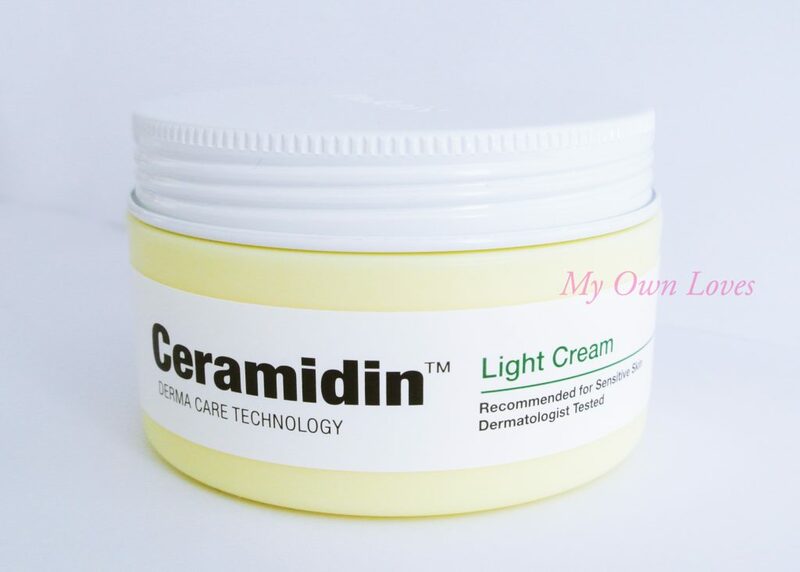 The main ingredient in the Ceramidin line is ceramide. 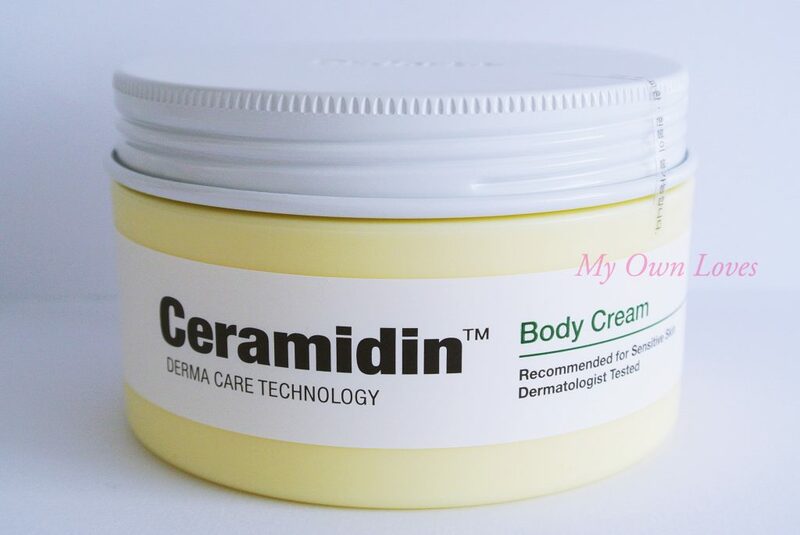 What are ceramides? 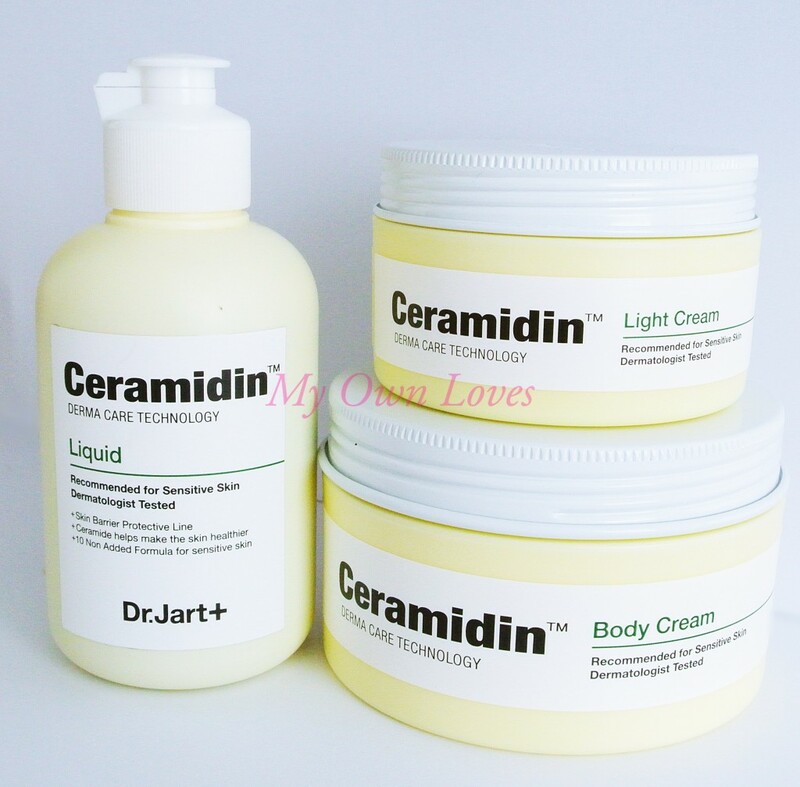 Ceramides are lipid molecules found in the top layer of our skin. Their function is to lock moisture in skin cells, creating a barrier to germs and bacteria to keep skin healthy and youthful. However over time, our skin produces less ceramides causing aging and dryness. This range aims to replenish those lost ceramides, repair and rejuevnate skin. This is known also as the serum and the first step after cleansing to maximize the effects of the moisturizer. It also can be used on its own too. It is a light clear watery lotion. A little goes a long way. It absorbs quickly after massaging into the skin and doesn’t leave any stickiness or shine. I am generally quite picky about scents but the entire range has lovely slight herbal scent that isn’t heavy. Key ingredients in the Liquid (other than ceramide) are licorice extract for soothing skin and aloe vera leaves for moisture and healing. It felt refreshingly lovely and I was pleased that it did live up to its claims. The tub contains a beige silvery coloured cream. Its texture is non-greasy and very light with the same light scent as the Liquid. My skin absorbed it quickly without leaving any stickness. Main ingredients, aside from ceramide, are a beta vulgaris root (an extract from the roots of beets) which moisturizes and cornstarch (it isn’t just for cooking, it’s very versatile) which helps to sooth and improve troubled skin. Overall I felt the combination produces better results especially for the drier months of fall/winter. They would work well separately in the warmer seasons. Its textures are good for day under make up or night too. The key for me in any skincare product is that my skin condition improves while having no skin reactions to the product. My skin felt brighter, hydrated, soothed, happy! SOLD! I’d admit initially the tub of brown looking cream didn’t look very attractive. But I have learnt not to judge a cream by appearances. It has a slightly gummy texture on first touch but spreads out smoothly on skin. It was creamy and moisturized my parched skin immediately, and didn’t leave a greasy feel. In fact, after applying, I wouldnt have really needed to wash the product off my hands, it absorbed into my hands and didn’t feel oily. I applied it before bed – my skin felt smoother and softer the next day. I would even be tempted to use it in the day because it doesn’t leave a greasy feel. It contains babassu oil (An Amazonian nut oil which is similar to coconut oil and sometimes a substitute for it) for its moisturizing qualities and Vitamin E which is beneficial for skin protection and repair. As with the other 2 products, I really like its scent. Even my very particular other half didn’t have any complaints!